At Kingdom Legal, we’re fully committed to providing the best possible advice to defend your rights, reputation and freedom. With our experience in all aspects of criminal law and property confiscation laws, we’ve earned our reputation as one of the leading criminal law firms in Perth. Our clients come to us because of our reputation, expertise, style and impressive track record of success. Even more importantly, we promise to support and guide you through the legal minefield, reducing your stress and uncertainty. 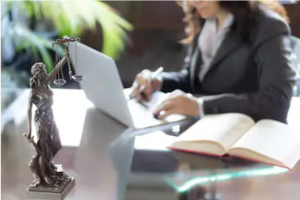 With an experienced and dedicated team of lawyers appearing in all jurisdictions in Western Australia, we regularly represent clients in serious and complex criminal cases, ranging from driving offences to drug trafficking and money laundering to name just a few. You deserve honest, straightforward conversations, so that you understand the merits of your case and the likely outcome. We guarantee that you’ll never have trouble reaching your solicitor or be left with unanswered questions. We understand how overwhelming it can be to proceed with your case, especially when you’re up against powerful organisations. That’s why we’re here to help you. 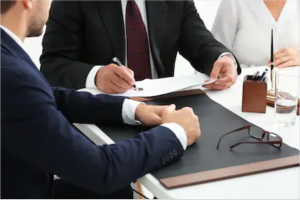 Because every case is different, we take the time to assess your unique situation and circumstances so that we can give you strategic advice to get the best outcome. Quality representation is priceless, we know. But knowing exactly how much it will cost to have an expert criminal lawyer on your side before you get started, means there is one less thing for you to worry about. If you’re looking for an affordable criminal lawyer in Perth, you’ve come to the right place. Why wouldn’t you choose the best possible advice and representation? Cathryn has been recently recognised by Doyles Guide as a Rising Star Australia Criminal Lawyers Doyles 2018 Rising Star in Criminal Law. She has more than 10 years experience as a Criminal Lawyer and represented clients in significant criminal cases across Western Australia. After completing her Bachelor of Laws and Bachelor of Commerce at the University of Western Australia, Cathryn undertook a Postgraduate Diploma in Legal Practice at the College of Law (NSW). She gained admission to practice as a Barrister and Solicitor at the Supreme Court of the Australian Capital Territory, the Supreme Court of Western Australia and the High Court of Australia. Throughout her practice, Cathryn Ng enjoyed the privilege of excellent mentoring from various senior Barristers. Cathryn’s meticulous, creative and dynamic approach ensures that every case has the best chance of achieving a good outcome. At the same time, you’ll benefit from her commitment to responsiveness, efficiency and value. Cathryn Ng is also multilingual and proficient in English, Mandarin, Cantonese and Malay. Desmond comes from a diverse academic and practical background in Information Technology/Information Systems, Engineering, Logistics, Strategic Management and Business Administration. He has worked in the Education Sector, Chemical Plant, Power and Utilities, Geospatial, Telecommunications, Mining and the Public Sector throughout Australia and Malaysia. His diverse experience in different industries and functionality have given him unparalleled management insight. Desmond’s skill set offers significant strengths in analytical insights and practical working skills, with a sound understanding of the business world, its principles and ethics.